DAHLIA NAYAR is an emerging dance maker based in Western Massachusetts, who melds movement and video to create highly visual performance works that delve into questions of cultural identity. Nayar’s works have been recently selected for the Venice Biennale/Danze Venezia, the Performatica Festival in Mexico, Dance Place in Washington, DC, the 2012 Next Stage Dance Residency at the Kelly Strayhorn Theater in Pittsburgh, and Center for Performance Research in Brooklyn. Her recent work, 2125 Stanley Street has been influenced in part by her experiences growing up outside of Chicago with parents from India and the Philippines. 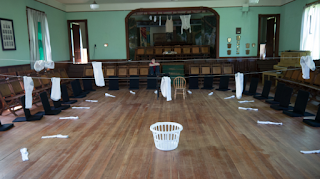 2125 Stanley Street is a performance installation that investigates questions of belonging, the challenge of creating habitat in a foreign place, and the personal embodiment of culture and cultural memory, especially in the context of home. Household objects transform into potential sources of revelation and reflection. Basic tasks are infused with virtuosity and nostalgia. Fragmented lullabies and nursery rhymes create an evocative soundscape. Ultimately, the installation aims to invite the audience into a home that unfolds though movement and sound, a home that is both familiar and yet cannot exactly be located. 2125 Stanley Street was developed in part during a 2012-13 VPL residency with her collaborators, dancer Margaret Paek and composer/musician Loren Kiyoshi Dempster. 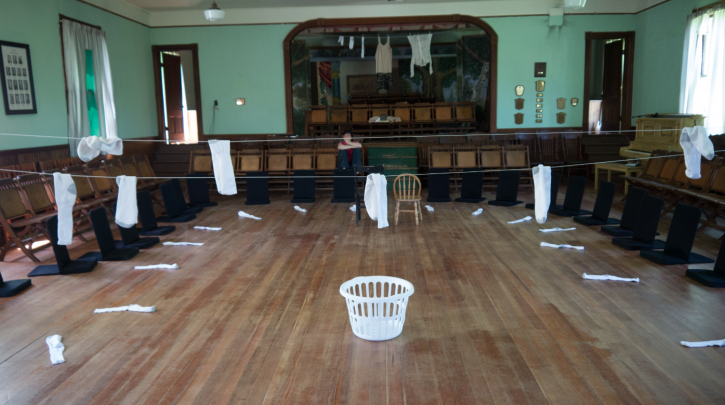 We are pleased to welcome these artists back to Vermont to present a performance installation version of this work as part of VPL’s Progressive Performance Festival.